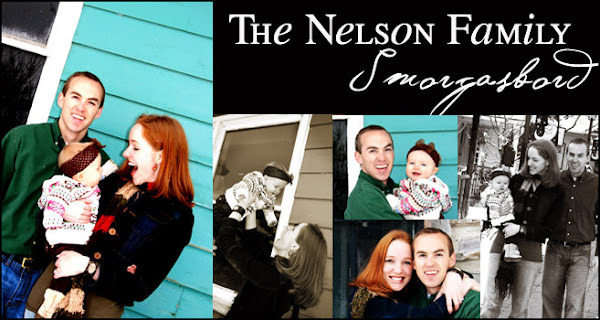 The Nelson Family Smorgasbord: "I'm Walkin' On Sunshine!" This morning before Jordan and I headed up to Alpine for the week to watch our cousins, Charly took her FIRST REAL STEPS! I will most certainly post pictures when we get home next week! She's actually had the potential for nearly a month now, but our place is so "snug", she has so many things by her to use as a "crutch". She just needed a little confidence, that's all! Hooray for you, Charly! We're ALL walkin' on sunshine today! OH HAPPY DAY!!!!!!! Goodness.....it's so hard to believe that she's already old enough to be walking!!! Crazy! What a happy way to start the weekend. Have a good time at Suz's!! LOVE YOU! That is so great! Baby accomplishments are always so fun! It is exciting to see them do new things!